How-To-Play-Centerfield could best be described by the unwritten creed for all centerfielders which should be painted in bold on every barn door. As Centerfielder On This Team I Am The Captain Of The Outfield. It Is My Responsiblity To Capture And Haul In Every Fly Ball Possible To My Left And To My Right Which Might Be Beyond The Reach Of My Teammates. As Captain Of The Outfiled It Is My Responsibility To Make The Timely Call For All The Questionable High Fly Balls Both To My Left And To My Right "Who Has It For The Catch And Put Out?" I Must Back Up My Leftfielder On All Long Hit Balls Playable But Getting Past Him To His Left. I Must Back Up My Rightfielder On All Long Hit Balls Playable But Getting Past Him To His Right. "Shakes Alive Man You Loaded His Plate With A Lot to Chew On. Do You Really Think My Teamamates Which Play Centerfield Can Handle What You Allow To Be Part Of The Centerfielders Creed?" Baseball is baseball and the right to wear that uniform and play ball with the big boys requires what has been told you often It takes a whole lot of "want to" along with some good natural talent and much practice. Now you have an idea of why we need baseballfarming to grow and develop our players. Did I say practice? I meant to say perfect practice. "Yes !Sir I'm With You But This How-To-Play-Centerfield Is A Real Load Mr. 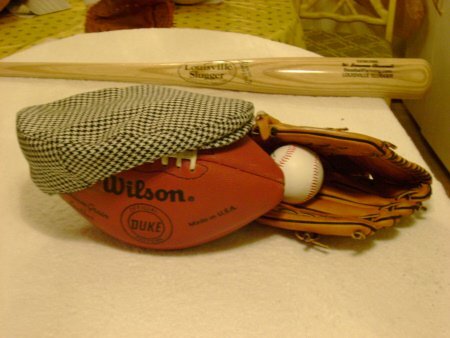 Baseball Whiz." Baseball players,baseball fans and sports enthusiasts around the world there are many great centerfielders who have played the game of baseball. There is a also host of what we might consider giants of the game who have roamed those pastures in centerfield. The Baseball Hall Of Fame is loaded with centerfielders all of which were well deservedly enshrined into this prestigious club of naming great outfielders into the fold. There is one name and player which this baseball playing wannabe sure would love to see having Jimmy's Name and playing uniforms honored and inducted into The Baseball Hall Of Fame. Jimmy Piersall played the game and epitomized how-to-play-centerfield even above and beyond the letter of the Centerfielders Creed. 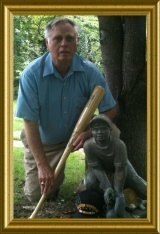 Jimmy Piersall played centerfield with a passion so rare it cost him dearly and Jimmy's Life story "Fear Strikes Out", in this ole boys estimation proved undeniably his over the top passion for living the Centerfielders Creed, was a struggle of emotional competiveness and proved to be a shade beyond his limit of reasonable control. Return to the top of the Page How-To-Play-Centerfield and digest some of these principles and requirements to be the Centerfield Hero.